That’s me over there pointing at either a particularly impressive lenticular cloud, a flying saucer, or to this identifier. Someone once said that pointing is bad manners. In a few cultures, pointing is downright uncouth. But this being USA, where men wear multi-pocket cargo shorts with Birkenstocks to a Broadway opera premiere, anything goes. If the picture appears blurry, that is because your eyes are crossed. No, it is because you are viewing a 3D Anaglyph image of me atop a Wonderland hill waiting for Godot. 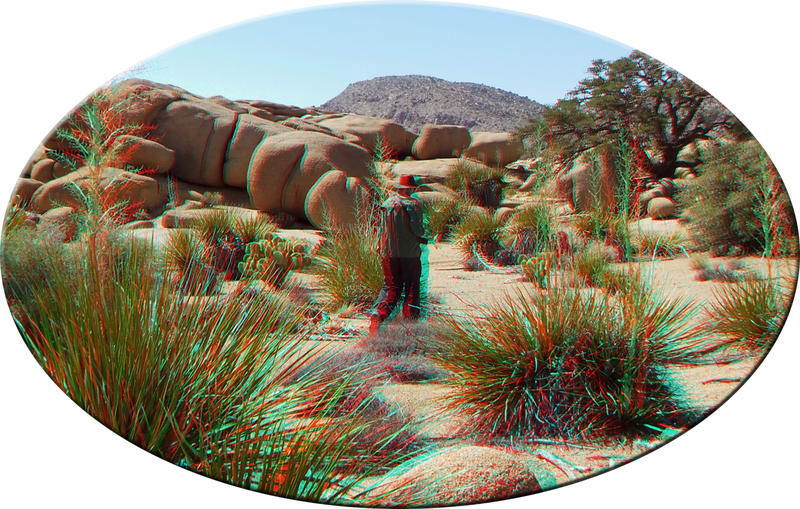 To grok what I see when looking into the camera viewer, or what you will find when you graze this website, it will behoove you to acquire a pair of red and cyan glasses. Whatever you do, avoid wearing them in public. People will whisper behind your back, behooved or no. Why do I know this? I tried it. 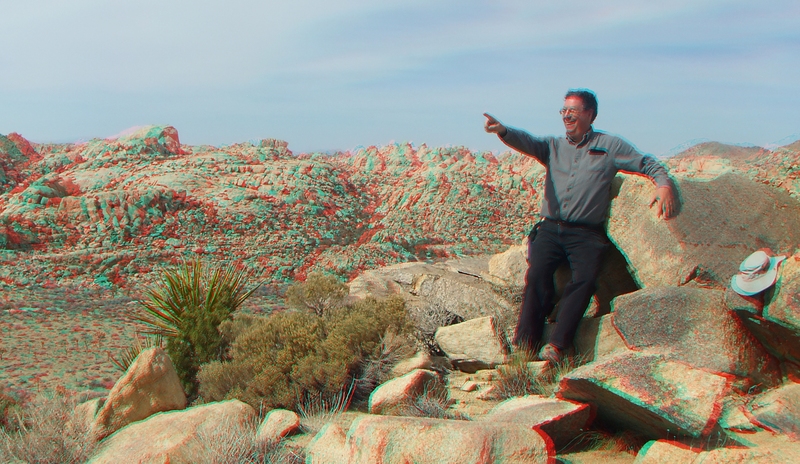 WELCOME TO JOSHUATREE3D.COM, where I inhabit the digital world. I started as a land-based numismatist at age 8, the year after the Ruskies shot Sputnik up. Someone who was most probably soused, walked down our TWA Constellation airliner’s cabin handing out silver dollars to all the passengers, including the curator of this website. He’d won big in Vegas. Fancy that! Little could that man know what his silver dollar would usher in: I worked for several numismatic galleries and auction houses from 1969 until recently. The early 1980s found me living in Hawaii. Hurricane Iwa, when it came blowing through my homestead in Maunawili back about ’82, left a memorable impression on me. No damage, fortunately. Thirty years on and living in Temple City, California, I bought a Fuji 3D camera when tech maestro John C. Dvorak said nice things about it. My mentor—we never met since he died seven years before I was born—was a man named Al Nock. He had a friend Hank Mencken. Together they spoke about another fascinating oddity, S. Clemens, who fits in there somewhere. Speaking of oddities, Adam Curry of No Agenda podcast fame takes the cake; like him, I do not wear a watch, carry anything beyond a “dumb” mobile or set an alarm. I do answer email messages, though. When I have a mind to. You are welcome to say what you wish if you have something to say. If you are a fan of 3D photography, better still. 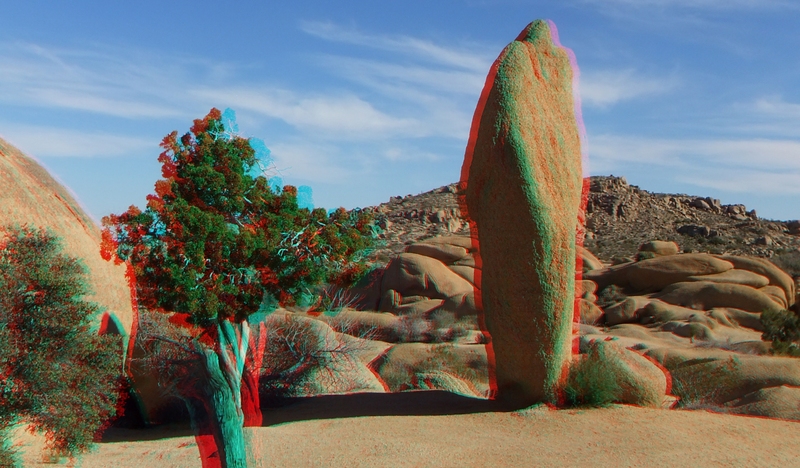 You will find hundreds of 3D JTNP photographs on this website. Feel free to download them (click on the images to save the largest size, mo’ bettah that way). Please share them with your friends. I must say, that your wondrous, rich site is THE most extensive, visually encyclopedic documentation of this intriguing piece of Californian nature gracing the web. What’s more, the fact that you’ve made it all available to witness in the third dimension from our aging office chairs is beyond remarkable. 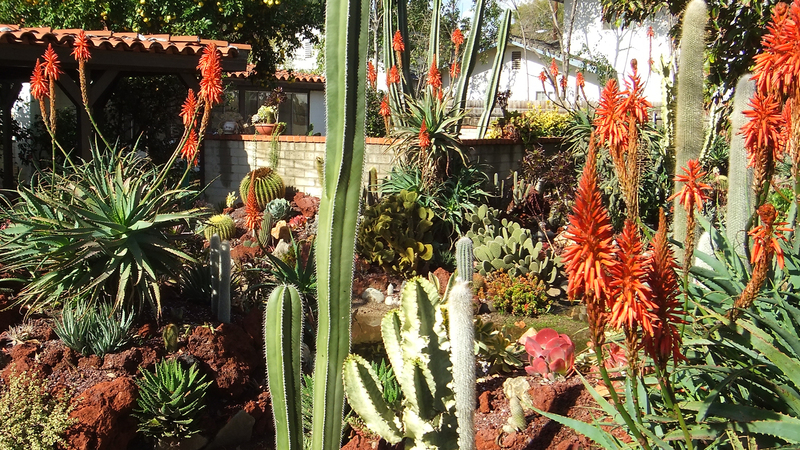 An obvious labor of love and passion that has given me and I’m certain others hours of smiles and ‘ah’s’. If you published the likes of this Herculean effort in a coffee table book, it would leave too much sand on the living room carpet. Thank you, John, for this incredible journey. 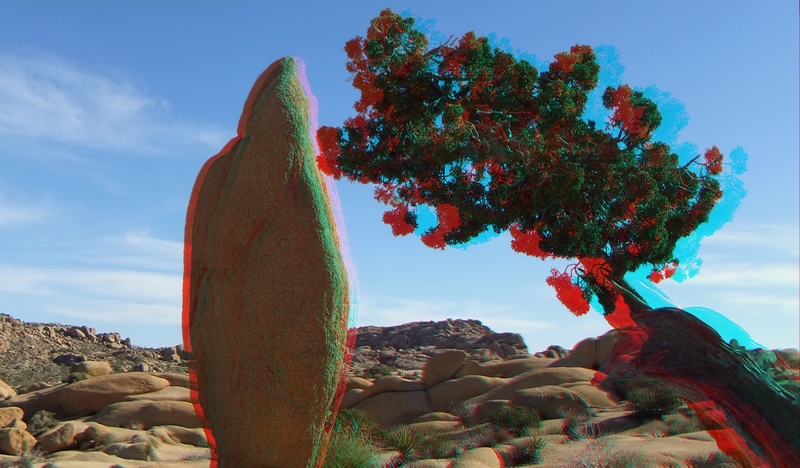 I await your scratch-and-sniff scent captures from various Joshua Tree vantage points once they perfect the technology.